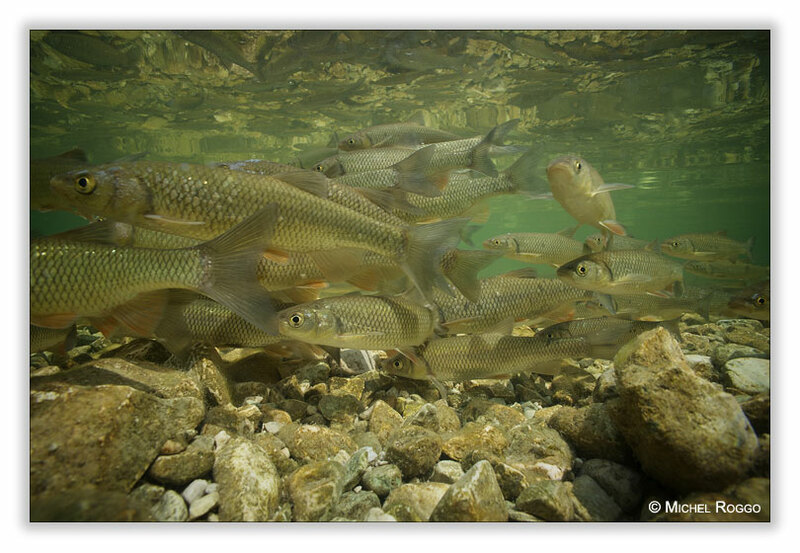 Chub by the thousands spawning in shallow, crystal clear water - what a dream for a photographer ... But it’s not that easy to be on the river on the right moment. 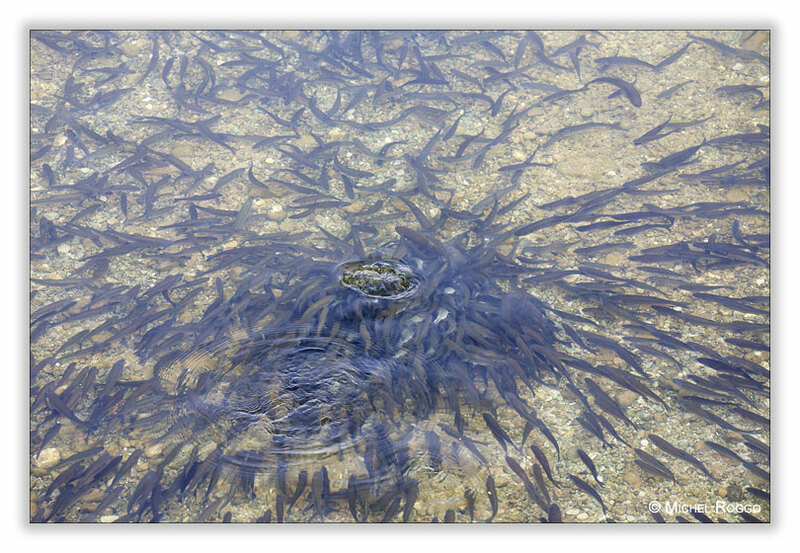 I went for 5 days to Slovenia, the first day seeing only a few fish on the spawning ground. 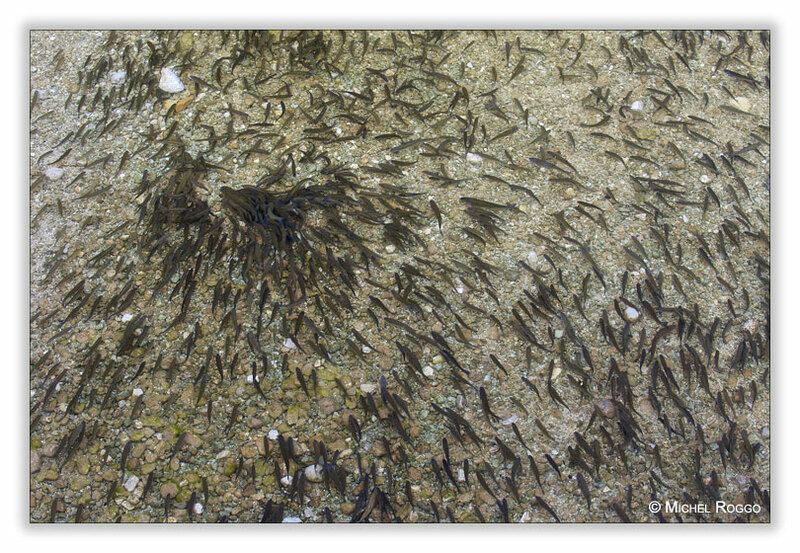 The next day, there have been hundreds, and the third day thousands of fish on the spawning ground. But as the main spawning activity is at night, you have to be out on the river very early, before the sun hits the river.